The second of three end-of-season grading articles from EVT will focus on a group that left much to be desired in 2018–the starting rotation. 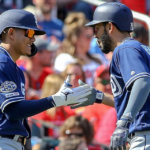 As is consistent throughout this series, the grading system will primarily emphasize pure on-field production, but will also take into account preseason expectations, availability, and improvement as the season progressed. 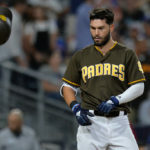 Kennedy was one of many Padres starting pitchers to make their Major League debut in 2018, although he came in much less heralded than many of his rookie counterparts. A limited two-to-three-pitch repertoire with not a ton of life or movement certainly showed in the limited action he saw this year, but he’s still just 23 with plenty of time to improve. Kennedy was one of the tougher ones to grade simply due to the small sample size, so 2019 will undoubtedly be a huge year in determining his big-league future. 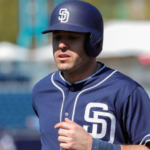 Former ninth-ranked Padres prospect Eric Lauer also made his Major League debut in 2018, recovering from a pretty rough start to ultimately turn in a very good rookie campaign. His Achilles heel was undoubtedly the consistency with which he issued free passes, and that is something that can’t happen going forward for someone lacking elite stuff, but a 1.33 September ERA and league-leading 10 pickoffs validated Lauer’s first MLB season as a success. As for next year, I hesitate to call anything a lock in baseball, but he should have as good a chance as anyone to secure a spot in the starting rotation once again. 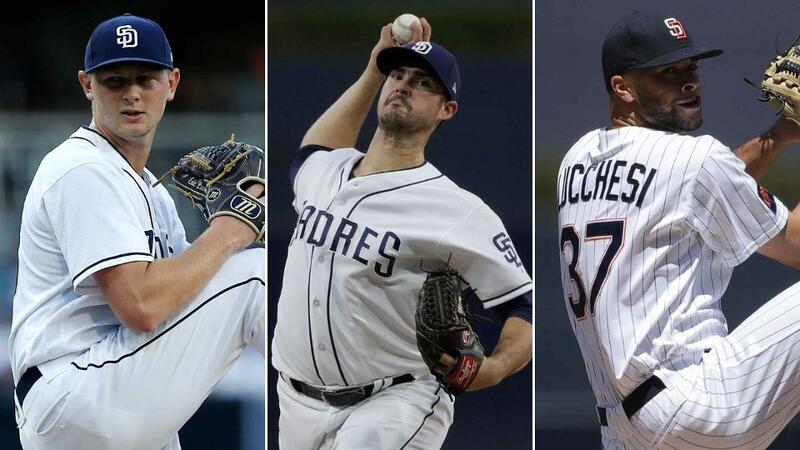 By any measure, Lucchesi was the most consistent and reliable starter for the Friars in 2018. 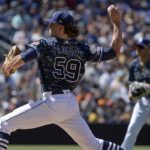 He did battle injuries at a couple different points throughout the year and navigated the ins and outs of his rookie season with just two effective pitches, both of which limited his 2018 season grade, but also provide great optimism for the future. “Solid” was the word for Lucchesi in 2018. With the development of a strong third pitch and sustained health, “star” may be the word in 2019. Mitchell was bad in 2018. There’s no way around it. None of his three pitches were effective with any regularity, and he spent time in both the starting rotation and the bullpen. Oddly enough, he did spin a gem in his final start of the season, but that is not close to enough to believe that Mitchell is going to be a workable starting pitcher in the Major Leagues. The only thing it really did was save him from receiving an F. I certainly hope he turns it around in 2019, but 2018 didn’t give me any reason to believe that will happen. Nix only made nine starts in 2018–the first nine of his career. The first four, all things considered, went pretty well. The next five, unfortunately, not so much. 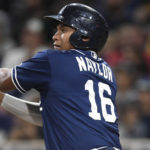 Despite stumbling to the finish line, he showed flashes of brilliance that would suggest he is better than his numbers showed, and it is for this reason that he’ll be a key guy to watch for in spring training and early next year. 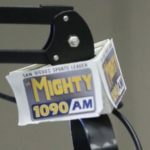 As is the case with many of the Padres’ young arms, the year 2019 will surely be a critical one for Nix. 2018 was seemingly a make-or-break season for Perdomo, and he failed to show improvement in the areas he needed to most. He’s always had the physical tools to succeed at the highest level, but stuff alone isn’t enough to consistently get Major League hitters out. Until he reins in his command, he won’t ever progress past being simply a raw arm talent. Much like Mitchell, Perdomo’s final outing of the season was his best. But also like Mitchell, I’m not sure it matters much at this point. 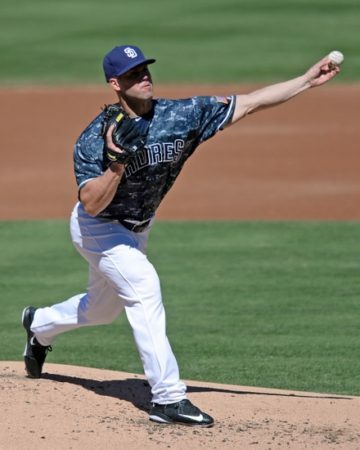 Opening Day starter Clayton Richard (yikes, I know) was about as good as any reasonable baseball person would expect him to be in 2018. His reputation as an innings-eater somewhat held true, but eating innings while simultaneously giving up runs isn’t very beneficial for a club seriously trying to win ballgames. 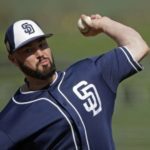 He is under contract through the 2019 season, but taking innings away from younger, more promising arms isn’t something that the Padres organization should be particularly interested in. Look for a possible low-stakes trade of Richard this winter. Mitchell, Perdomo, and Richard are probably all guys competing in spring for one swing man/spot starter/long man position on the pitching staff, deployed much like Erlin was this year. 2/3 of them don’t likely survive the 25 man roster of 2019. Of the 3 Richard seems best suited. Nix needs to refine an out pitch. 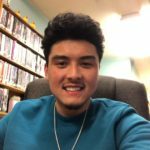 Though a strike thrower, he gives up hard contact, and lacks a real strikeout offering of any kind in his repertoire, which is very concerning, for now at least. Another year in AAA is probably his lot while he hashes that issue out. Brett Kennedy is a competitor and can obviously scrap with the best of them as his AAA numbers prove, but that only takes you so far in the majors. His lack of major league quality stuff is starkly apparent when you watch him deal. It just looks pedestrian. Pair that with an opposing Rockies or Dodgers lineup and you know it’s going to be a white knuckle ride getting through the lineup 3 times. 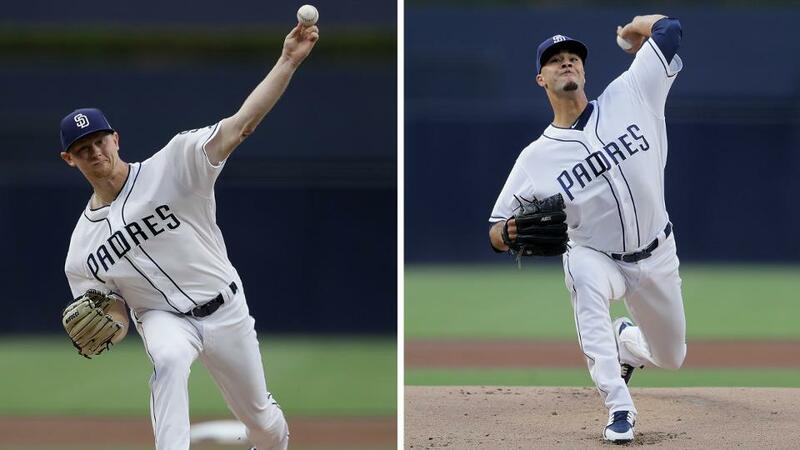 I do not see how Perdomo or Mitchell are with the organization; not just for their piss poor performance but equally so because of all the talent coming in. Heck I think you can make a case that Lauer could be on his way out if the team is as high on Allen as it appears. Nix is likely going to be pencilled in for 2019 but outside of Lucchessi I don’t think anyone in the rotation is/was safe. Walker Lockett – F – Might be a nice guy, but should not be given any more Padre starts.